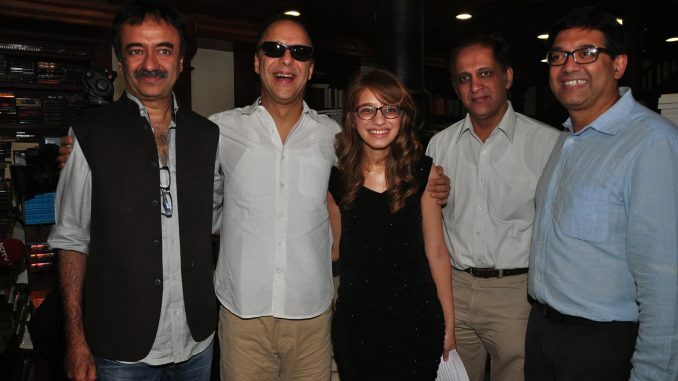 Vidhu Vinod Chopra and Rajkumar Hirani come together to launch the book of Abhijat Joshi’s 18 year old daughter Anushka Joshi. Anushka has compiled a book of all her poems. Vinod Chopra and Rajkumar Hirani have both read Anushka Joshi’s work and they find it extremely phenomenal. The themes of her poems range from the last moments of the Pompeii civilization to wondrous moments of scientific discovery, and the silent resilience of war victims. At the event which was held yesterday at Kitab Khana, Anushka read out 4 beautiful poems. Abhijat Joshi’s entire family came together in support of Anushka also preset were Rajkumar Hirani with wife and son Veer, Vinod Chopra and Anupama Chopra, R. Madhavan, Sharman Joshi, Shantanu Mohitra and Swanand Kirkire. Ranbir Kapoor wants to own one vintage car.